It's no secret that fall is my favorite season! Sweaters, booties, and scarves may be my favorite things to wear- so needless to say I cannot wait for the weather to cool down here in Charleston! Although putting fall outfits together is one of my favorite things to do, I figured it may not be everyone's cup of tea. 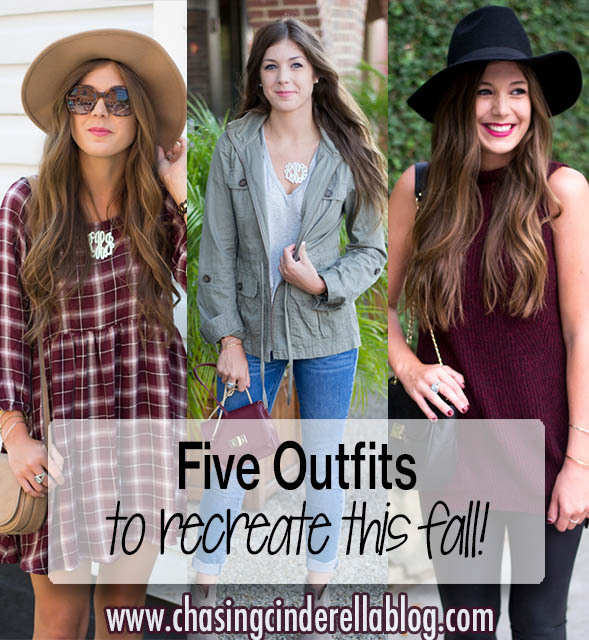 So I thought it could be helpful to share a few easy outfits for you to recreate this fall! These are all outfits I have worn over the past two years, so most of the items may be sold out. I have linked very similar items that will make it easy for you to replicate each look! Do y'all love fall fashion as much as I do?! Make sure to tag me on Instagram if you recreate any of these outfits- I would love to see! Lovely outfits, I love the two dresses, they are both gorgeous!! Cute fall looks! I love your boots and that blanket scarf looks so cozy! I'm such a sucker for a Fall color palette! Love the browns and shades of wine! Can't wait to break out all the scarves and sweaters! So many cute outfits for fall gf! I love that plaid babydoll dress! I love that plaid dress! Totally stealing that look! Oh my gosh all these looks have me so ready for fall! You look amazing in everything you wear! These outfits are all so cute and perfect for Fall!! I love that red plaid dress and the booties, so chic! 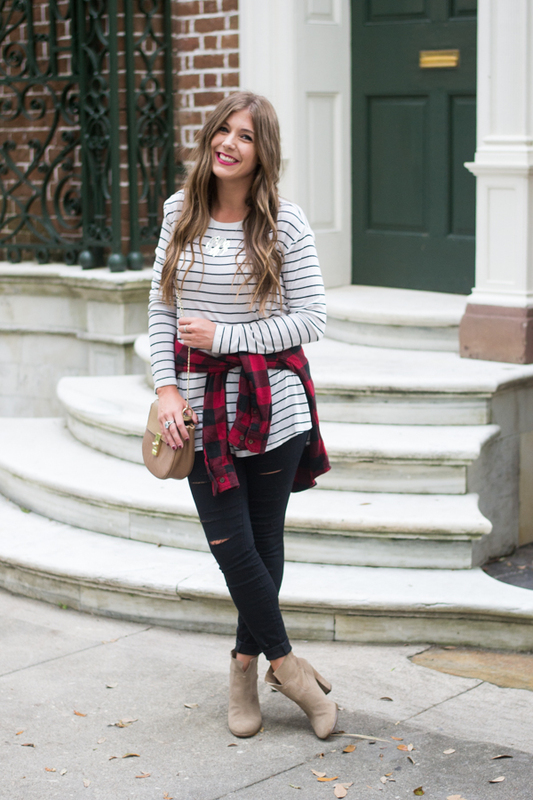 Love all these fall outfit ideas! I especially like the plaid dress.. The color is absolutely fabulous! Love the dress with the plaid scarf - so cute! Second look is my absolute favorite! I love it!! These are uber cute. I love the maroon on you. That's so your color! Love this idea!! Also need that second dress in my life. They're all so cute, but that plaid dress is my fave! Fall is the best season for fashion! Obsessed with that plaid babydoll dress! So darn adorable!